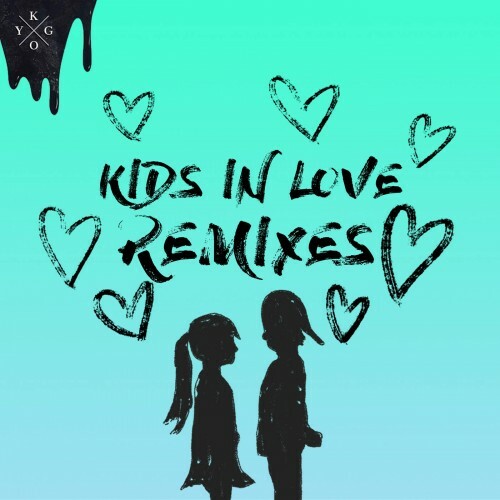 Date: 20.02.2018 | House, Electro, Club | Tags: Gucci Mane, Kygo, Sasha Sloan, John Newman, Bonnie McKee, Oliver Nelson, OneRepublic, The Night Game, JHart, Jack wins, Ryan Riback, Alan Walker, The Him, Alok | Download Kygo - Kids in Love (Remixes) (2018) for free. Kygo wants to help you get in the love-making mood. He dropped a sensual nine-track remix package for his sophomore album Kids in Love, and don't you for a second doubt he released it on Valentine's Day on accident. The remix package is much more than just reinterpretations of the titular anthem. It opens with a romantic take on "This Town" featuring a surprisingly soft and sweet verse from Gucci Mane. The heat turns up with an upbeat house rework of "Never Let You Go" from Jack Win, followed by an acoustic take on the same tune. Ryan Riback comes in with a solid groove on Riding Shotgun, Alan Walker wins with a dreamy take on Stranger Things, and then we hit a big stride with two fun takes on "Kids in Love" from The Him and Alok, plus a third acoustic version for those who wants to get extra snuggly.